Tuesday 26th of September was the HBO-keuzegids published. 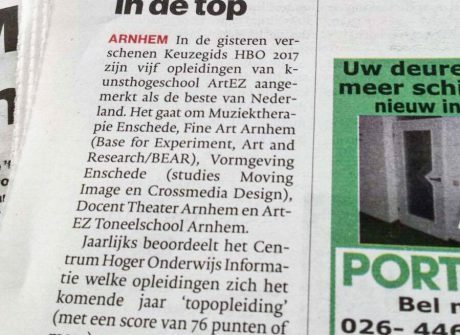 Five departments of ArtEZ university of Arts are marked as best of the Netherlands, including BEAR Fine Art ArtEZ Arnhem! Nine other departments received the Top Education Award. 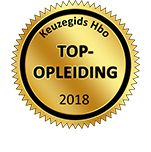 With this great result the ArtEZ University is the best school of arts in the Netherlands!